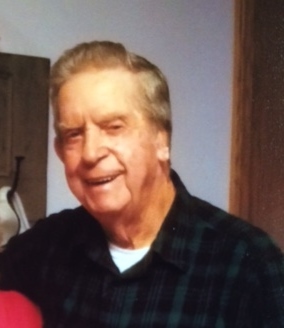 James Edward “Ed” Rhodes, 80, a resident of Glady, departed this life early Tuesday morning, Sept. 4, 2018, at his home, surrounded by his loving family. He had been in declining health. He was born Tuesday, Feb. 8, 1938, in Glady, a son of the late Jim Isaac and Bethel Mae Vance Rhodes. During 1963, at Strawbridge Baptist Church in Oakland, Maryland, he was married to the former Evelyn Louise Larkin, who survives in Glady. They had celebrated 55 wonderful years of marriage. Also surviving are one son, David Allen Rhodes and wife, Nancy, of Harrisonburg, Virginia; two daughters, Ann Silvester and husband, Andy, of Elkins and Debra White of French Creek; two brothers, Jerry Rhodes and wife, Sandy, and Bill Rhodes and wife, Linda, all of Glady; three sisters, Shirley Thompson of Beverly, Charlotte Pennington and husband, George, of Harman and Barb Lawrence and husband, Jamie, of Dry Fork; and two granddaughters, Cheyanne Rhodes and Diane White. Preceding him in death are one infant brother, Ire Rhodes; one sister, Bonnie Bodkins; and two brothers-in-law, Tom Thompson and Lapel Bodkins. He attended the one-room Glady School and was an employee of the city of Elkins, retiring after 25 years of service. He was a member the Church of the Brethren in Glady. He was an avid outdoorsman, enjoying hunting, fishing, taking care of animals and loved the mountains. He loved to spend time with his family and friends, and he was best known as “The Mayor of Glady.” He will be greatly missed by all who knew him. He was a loving husband, father, PaPa, brother and friend. The family’s request for cremation was honored. The family will receive friends at the Lohr & Barb Funeral Home of Elkins on Thursday from 4-8 p.m. Final rites will be conducted at the funeral home of Friday, Sept. 7, at 11 a.m. Pastor Dale Ray and Pastor Roger Elza will officiate. The family suggests that expressions of sympathy be in the form of contributions to the Randolph County Humane Society, 195 Weese St., Elkins, WV. 26241. The Lohr & Barb Funeral Home is in charge of the arrangements for James Edward “Ed” Rhodes. Condolences may be expressed to the family at www.lohrbarbfuneralhome.com.